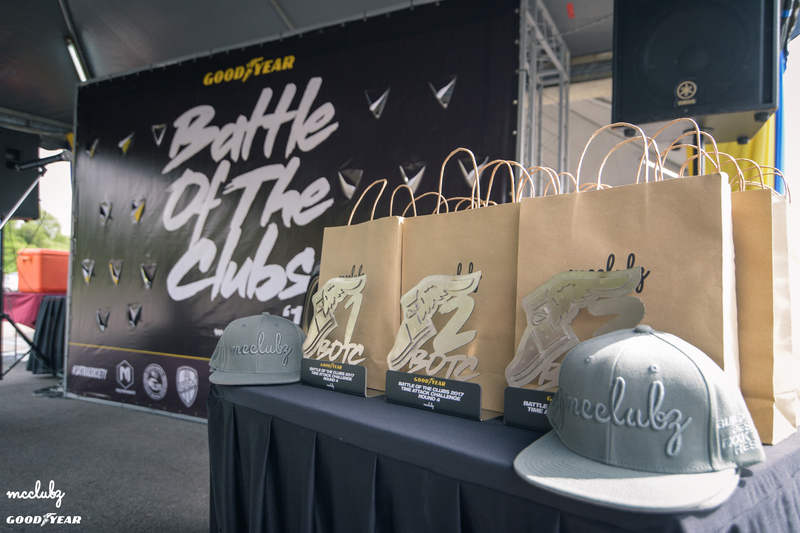 Goodyear Malaysia searches for The Best Car Club 2017 with a series of team challenges in Malaysia. 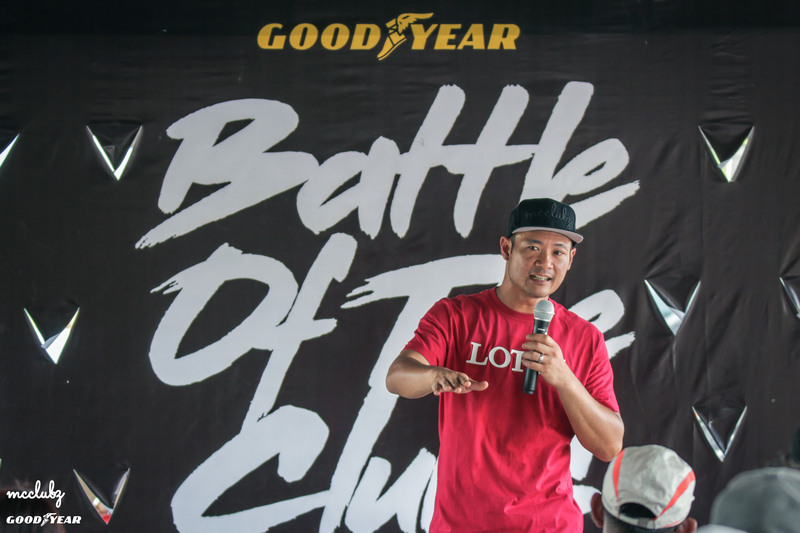 November 2017 – The Battle of The Clubs 2017 challenge organized by Goodyear Malaysia is an exclusive monthly community gathering of avid car junkies. 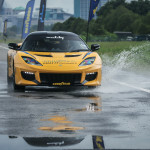 The event is participated by eight selected Malaysian car clubs. 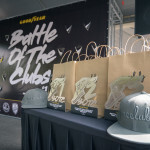 The participating car clubs include VW Club Malaysia, Satria Society, Myvi Movement, Peugeot Club Malaysia, Benzer Motorsports Malaysia, Club Audi Malaysia, The Rusted Jackets, and Civic X Community. The on-going meet-up across hotspots in Selangor, over the span of four months, has since received positive engagement by the respective club members and their supporters, with the sponsor anticipating to award The Best Car Club 2017 by the end of the year. The competition, which is based on a points system, consists of six different team challenges in total. The car junkies are tested on their skills, knowledge, creativity, teamwork, and passion for their cars. Participants have recently concluded round four, known as the “Time Attack Challenge”. 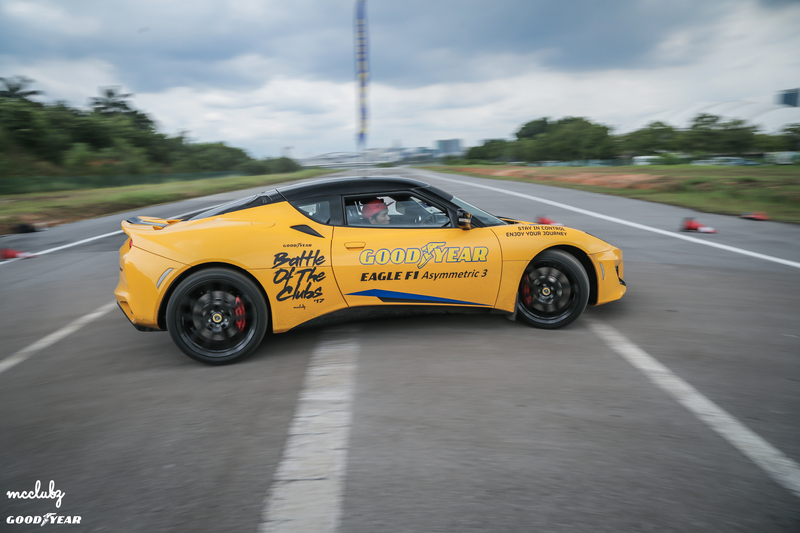 Round four entailed driving the Lotus Evora 400S cars fitted with the latest Goodyear UHP tire – Eagle F1 Asymmetric 3. 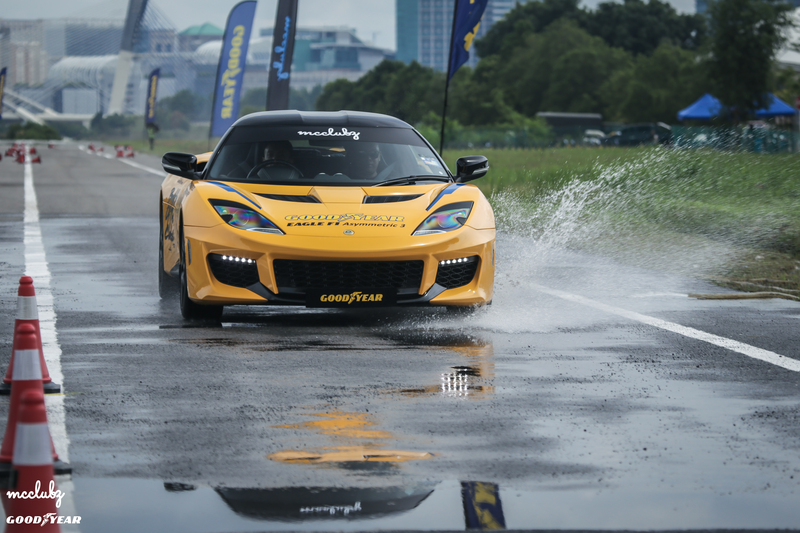 Five drivers representing each team were put into an exciting challenge to complete a course which includes slalom tests, 360º turn, a sprint back to the ending grid, and ended with a wet braking test. Each club member’s time was tracked and added to the total team time, the club with the shortest total time wins the challenge. It was an exhilarating experience that wrapped up in high spirits. This challenge has also gained numerous positive feedback on the Eagle F1 Asymmetric 3. The UHP tire’s superior dry and wet grip, braking and handling performance impressed the drivers. 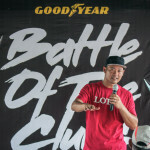 Being one of the largest series of local community events ever held by Goodyear Malaysia, the project aims to promote engaging activities and networking opportunities for the car clubs. As part of Goodyear’s Shared Values in caring for communities, this initiative represents the company’s continuous efforts to improve and better the wellbeing of local communities that host the company’s operations. “Goodyear Malaysia recognizes that the car clubs’ community in Malaysia is large in numbers, and in their commitment as well. 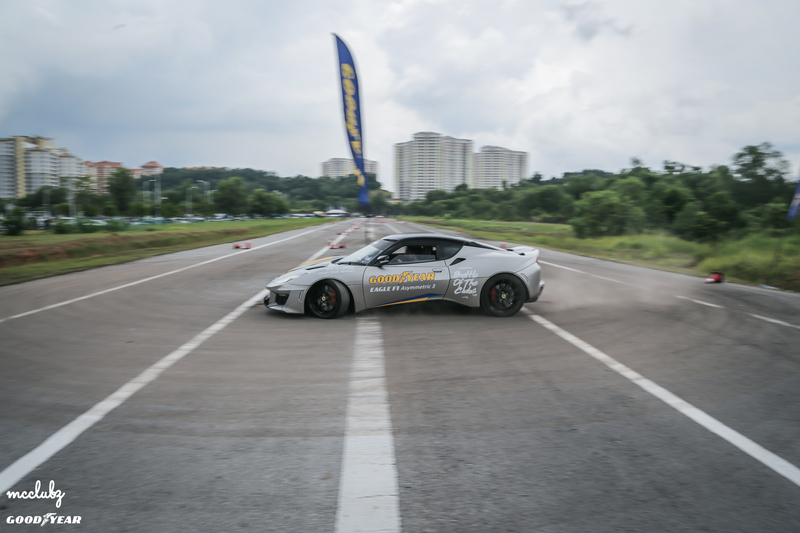 While they have always been active in advocating their own car brands, we are proud to offer the platform to bridge the gap between various car clubs for them to share the same enthusiasm and exchange ideas within their local industry,” said Ben Hoge, Managing Director of Goodyear Malaysia. The campaign started in early August 2017 with an Endurance Karting challenge, followed by a Paintball Challenge, Livery Design Challenge and the recent Time Attack Challenge. With VW Club Malaysia leading on the scoreboard, the other contenders will attempt to catch up with the upcoming On The Road Treasure Hunt challenge and a final showdown which will be a public event, as Goodyear Malaysia crowns The Best Car Club of 2017.